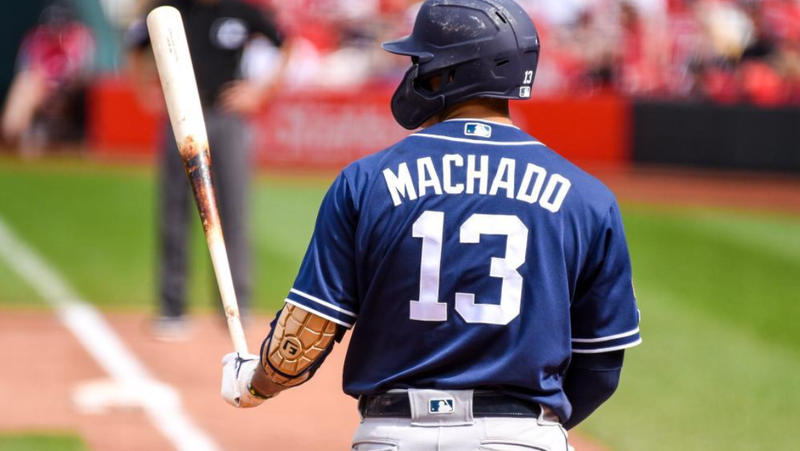 The Padres went for the series sweep in their third day game in a row in St. Louis on Sunday. 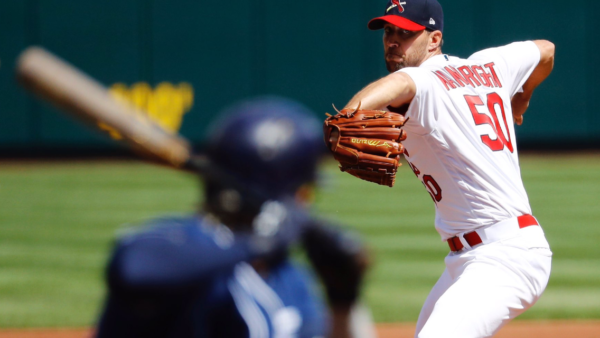 The Cardinals won behind the outstanding pitching of Adam Wainwright. Wainwright struck out nine in six innings, giving up five hits and no walks. Jordan Hicks shut the door on the Padres, striking out Manny Machado to end the 8th with a runner on, and striking out Reyes and Tatis in the 9th. Matt Strahm rebounded from his first start, facing the minimum batters through three innings before the defense struggled. He gave up two runs, one earned, on four hits and two walks in the game. The Padres got on the board in the third when lead off hitter Manuel Margot drove the ball to right centerfield. He cruised into second with a double when Harrison Bader bobbled the ball. Margot advanced to third when Molina’s pick-off throw sailed high and into the outfield. Strahm was called out on strikes looking and Kinsler popped out to first. With two outs, Hosmer worked a full count and lined a single to center, scoring Margot. Machado struck out to end the threat, Wainwright’s 6th of the day. San Diego threatened again in the fourth. Renfroe led off with a double. Reyes flew out to centerfield. Renfroe moved to tag up, but Bader made a perfect throw and Renfroe wisely did not try to advance. Next batter up was Fernando Tatis who worked a full count before flying out to the same spot in centerfield. Inexplicably, Renfroe tagged up and Bader’s throw this time and was nailed at third, ending the inning. Things got worse for the Padres and Renfroe in the fourth. Carpenter led off with a walk. Goldschmidt lifted a high flyball to left down the line. Renfroe appeared to move to it, fighting the sun, while his sunglasses sat on his hat. The ball fell just out of his reach in fair territory. Carpenter advanced to third and Goldschmidt to second. Both runners came home when Dejong drove a double to Renfroe’s left, just out of his reach. Strahm then got Ozuna to pop out to Kinsler at second. With one out, Molina singled off of Strahm’s leg. Kinsler recovered the ball, but too late to get Molina at first as Carpenter advanced to third. Strahm appeared okay and stayed in the game. He struck out Fowler on a wild pitch. Molina advanced to second, and Carpenter stayed put at third, which was fortunate for the Padres as Hedges throw to Strahm at the plate was wild. With first base open, Strahm appeared to be pitching around Bader, going 3-0 before getting a called first strike and a strike foul. Pitches six and seven were fouled off, before ball four was called. Bases were loaded for a lefty-lefty match up. Tatis caught Wong’s soft liner for the final out. In the fifth, Strahm collected his first major league hit, doubling down the right field line with two away. He was stranded on second when Ian Kinsler ground out. The Padres stayed patient, but went down in order in the sixth. After a Hosmer strike out, Machado grounded out on breaking ball with a full count. Renfroe worked a full count, but struck out swinging on Wainwright’s 100th and final pitch of the game. The bullpen did not look sharp. Warren got through the sixth with two strikeouts giving up a double to Molina. But in the seventh, Wong led off with a single to right field. Jose Martinez, in on a double switch, picked up his second hit of the season with Wong running on the pitch and stopping at third. The Padres brought in Loup to face the lefty Matt Carpenter, and Myers was put in centerfield on the double switch. Carpenter lifted the first pitch for sacrifice fly to left, scoring Wong. Goldschmidt draws a four-pitch walk and a ground out to shortstop advanced the runners. Loup strikes out Ozuna to end the inning. The Cardinals scored their final run on a single by Molina, a single by Bader, and a bunt single by Wong. Hicks came into the game with two outs in the eighth throwing 100 to 102 mph. He earned his first save of the year. Strahm took the loss, but lowered his ERA to 7.04. He threw 87 pitches. Wainwright got his first win of the year and lowered his ERA to 4.50. 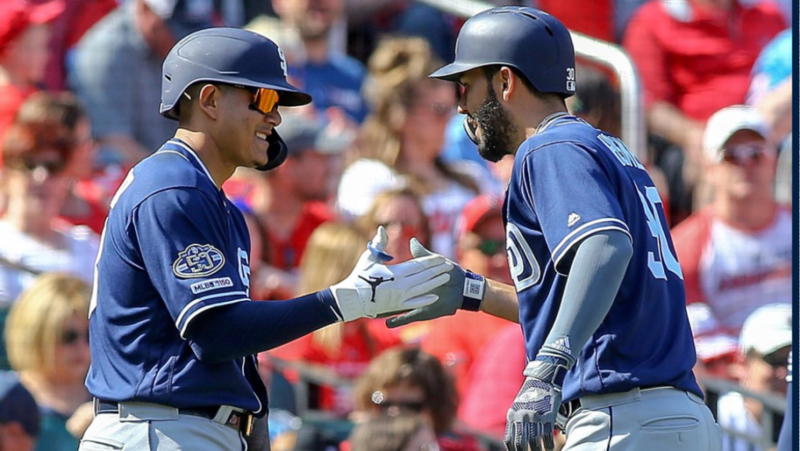 Despite not drawing a walk against Wainwright, the Padres were very patient at the plate, drawing seven full counts in the first six innings. Few balls were hit hard, but Machado’s first inning double hit the wall in straightaway center and bounced back so hard that he was almost thrown out hustling for second. The team went 1-for-7 with runners in scoring position in the game, and 5-for-32 for the series. Defensively, Renfroe’s misplay stands out, but the infield played well. A strike-‘em-out, throw-‘em-out double play erased a lead-off double by Bader in the third. Tatis made a wise decision on a fielder’s choice to get the batter at first in the seventh. Hosmer picked a Tatis throw out of the dirt to end the eighth. Wong’s squeeze bunt to plate the final Cardinals’ run was a thing of beauty, just out of the reach of Hedges, not far enough for a play by Loup or Hosmer. The Padres open a three game series in San Francisco on Monday, before continuing the road trip in Arizona.